About 1 in 15 children are exposed to intimate partner violence each year, and fathers and father-figures are the most common perpetrators of this violence. The impact of exposure depends on risk factors such as frequency, severity and proximity to the violence; age, and age at which exposure began; how children understand the violence; and exposure to multiple forms of violence (i.e. being directly abused AND exposed to DV; or exposure across multiple settings such as home, school and the community). 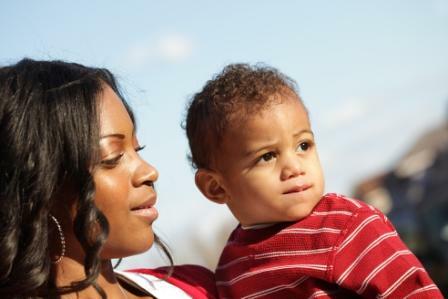 Protective factors that moderate the effects of exposure include connections with caring, resilient adults (very often their mother who is being battered); opportunities for healing and success; development of social emotional competence; community assets and resources; skilled interventionists; and racial and ethnic pride. Some children show signs of complex trauma or toxic stress, while others display few symptoms. Programming to address the needs of children exposed to DV is a critical component of DV services. Rigorous consideration of risk and protective factors, and a shared commitment to responding to the needs of children and youth—not only physical and educational, but also cultural and spiritual needs—can provide fertile ground for cross-system dialogue and planning. Are DV program staff trained to understand the impact of exposure to violence on children, and the overlap with child abuse and neglect? Is risk to children routinely considered by staff? How do programs support healing of mothers and children together? How does the DV program help traumatized mothers to heal and strengthen their parental protective capacities? Do staff understand HOW cases involving DV are accepted by CPS (physical injury; “failure to protect”; injurious environment; emotional neglect; etc)? Hamby, S.; Finkelhor, D.; Turner, H.; and Olmrod, R. (Oct 2011). Children’s Exposure to Intimate Partner Violence and Other Family Violence National Survey of Children Exposed to Violence. Juvenile Justice Bulletin, U.S. Department of Justice. Please tell us about all of the innovative work you and others are doing in your community. The development of this website was supported by Grant Number 90EV0401 from the Administration on Children, Youth and Families, Family and Youth Services Bureau, U.S. Department of Health and Human Services. Neither the U.S. Department of Health and Human Services nor any of its components operate, control, are responsible for, or necessarily endorse this website including, without limitation, its content, technical infrastructure, and policies, and any services or tools provided.